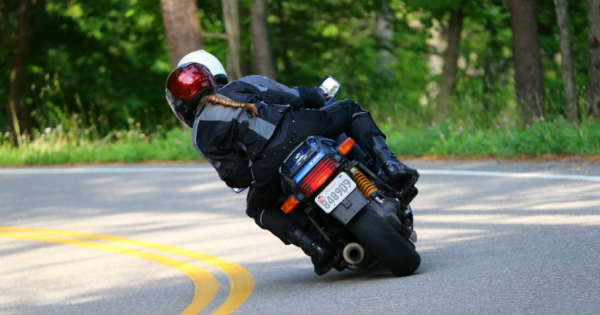 Staying Safe on Your Motorbike - Muscle Cars Zone! The biker is far more exposed on their vehicle than the driver in the snug car. The open air and sense of freedom is exchanged for no small degree of vulnerability. It`s no secret that bikes are burdened by a great many safety concerns, but with these in check, their users can save money on their vehicle and roam the roads freely in unison. Below are a few tips specifying for staying safe on your motorbike. Bikers often laud over their chosen vehicle due to its ability to cut corners. Winding between cars, filtering through traffic and easier overtaking is frequently listed with the perks of riding a motorbike. Of course, these benefits can lead to a few individuals becoming a bit too cocky and driving recklessly and endangering others. The rules are the same for every road user; set ignorance aside and drive safely. No vehicle is better than the other in this regard, and you`re not special for being in a biker group either. It`s okay to enjoy what you`ve got, but reckless use of the roads can have dangerous consequences. If you`re a bit overly proud of having a motorbike, abandon this superiority complex immediately and realise your just another person on the road. A fall of any kind can be lethal, but when you`re blasting down a road at 60mph the chances of a fatal fall obviously go up. Therefore, you should do everything you can to ensure that you are safe while you`re out there. These accidents and deaths of motorcyclists are preventable, so don`t risk it for anything. It`s important for all motorcyclists to wear protective leathers when in transit. After all, no matter how good you are at riding, your potential fall could be caused by another road user. Therefore, falling off the bike won`t take your skin off as you bounce like a pebble across the tarmac, or in the worst-case scenario, kill you. It`s up to you to acquire the necessary gear, and there`s shortage of it out there! Having a motorbike passenger needs to be taken seriously. After all, your guest is just another road user and person on your bike, so they must always adhere to the same safety standards as you. Any lapse in judgement here can endanger their life, your life, and the wellbeing of other road users around you both too. If you`re not experienced enough or only carry a provisional licence, you cannot have a passenger on your motorbike. It`s important that the amount of people riding your bike are within the legal boundaries; no more than one pillion passenger at all times. Furthermore, if there is no additional bike seat, no passenger is lawfully allowed. It`s also equally vital that you ensure that any passenger is behaving responsibly and understands the precautions of the bike. You must also make sure that they are equipped with the same safety gear as you, regardless of the length of your trip!